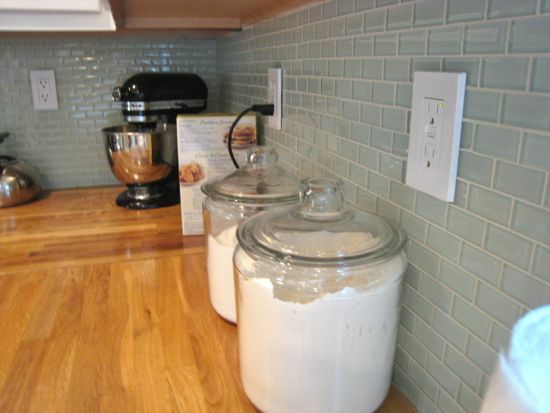 After we updated our kitchen with a new backsplash the electrical outlets were sticking out like a sore thumb. 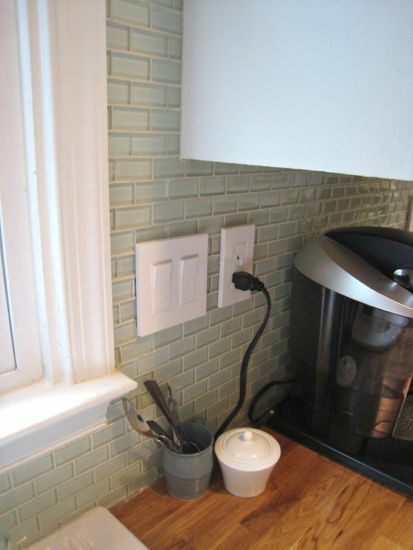 Especially after I installed the USB powered outlet, seen here. I’ve only seen the USB powered outlet sold in white so it was somewhat of a forced decision. With that new addition, I decided to go ahead and swap out all the rest of the electrical outlets with some nice crisp white ones. I decided to switch them to the more modern square version so that I could install the screwless cover plates. 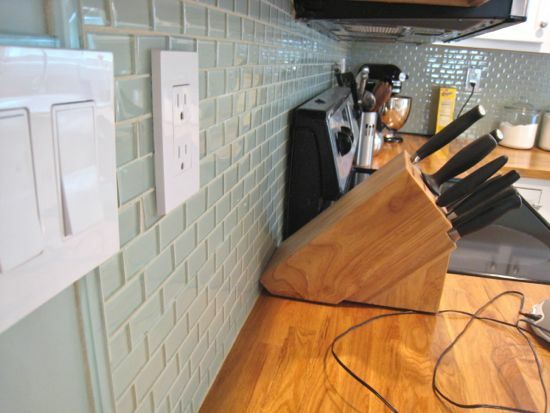 There’s lots of tutorials online about replacing electrical outlets so I’ll spare you the details. For me, it was lots of walking back and forth to the breaker box turning things on and off to make sure I didn’t electrocute myself as well as test out the newly installed outlets.